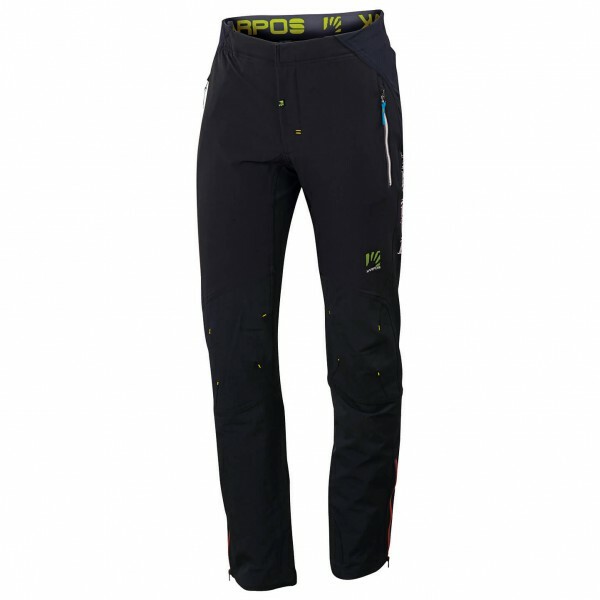 The Wall Evo Pants from Karpos are tough, breathable trousers designed for the summertime. Boasting elastic material and an athletic fit, these durable outdoor trousers are guaranteed to deliver the comfort and freedom of movement you need outdoors. Plus, they come equipped with a DWR treatment for protection from dirt and water. The Cordura reinforcements on the knees serve to protect the fabric from wear. The elastic waistband is adjustable and provides a secure fit. As for storage, there are 2 zipped front pockets and 1 back pocket with plenty of room for small items you may need quick access to. The reflective details serve to increase your visibility in the dark. 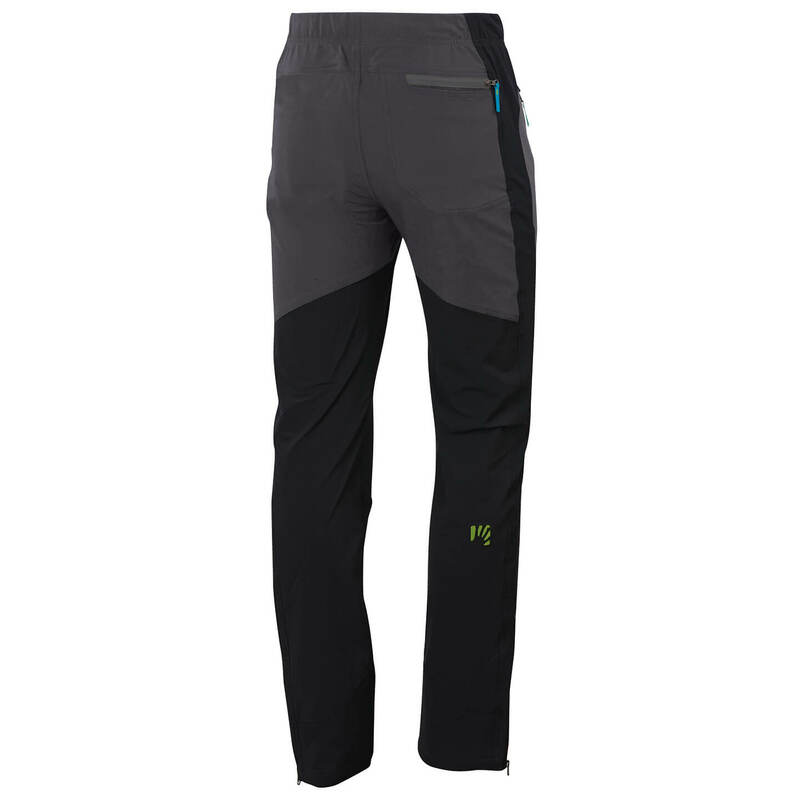 Thanks to the zips at the leg cuffs, the Karpos Wall Evo Pants are extremely easy to slip on and off.